Congratulations, Mara! Please send me an email with your full name and address to claim your prize. Make sure to leave a comment here telling me you sent me the email. I want to make sure I don't miss it! Now, on to the sneak peek. I have been a scrappin' fool lately and I have so much to show you but I can't until the reveal days. However, I've just got to get a little bit of this one out there so here's a sneak peek. 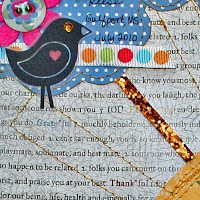 Trust me, you will want to check back in at Sketchabilities starting on the 15th, to see all the design team reveals but also to participate in the blog hop. 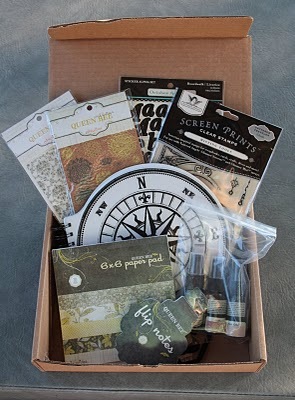 There will be lots of chances to win some fun, crafty stuff. Speaking of a chance to win free stuff, have you seen the current RAK Karan is giving away at Sketchabilities? Run over there right now and check out the contest details and to see a list of everything included in the giveaway shown below. There's still a few days left to enter. Good Luck! Phew, I think that's everything for now.